The weather is heating up (albeit only a little), and so my focus is falling on the joys of summer ice-creams. I may well be eating this in doors, having had the heating on briefly earlier in the day to take away the chill, but it is technically May, so I’m running wth it. 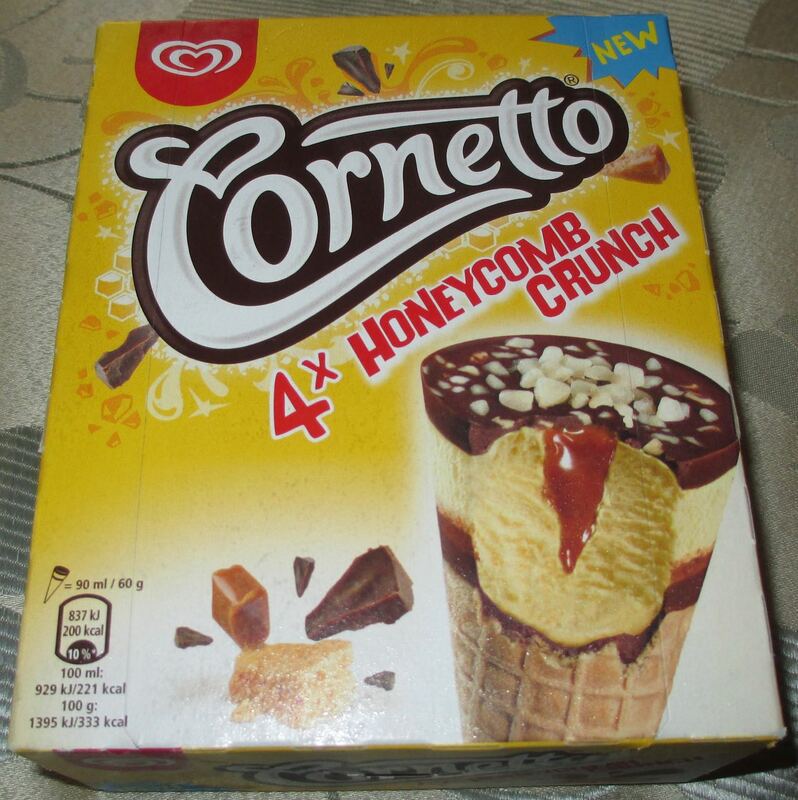 This new Cornetto is honeycomb in flavour and goes the extra mile with chocolate topped with honeycomb pieces, honeycomb liquid filling, and honeycomb flavour ice cream. Aces. I took one out of the pack and unwrapped it found that the chocolate on the top was in a solid disk with crunchie honeycomb bits embedded in it. I ate this first and was impressed with the rich sweet flavours. Next stop was the ice cream which had a stunning taste to it, now I have to mention that I have a high tolerance for all things sweet, but this was sugary and divine. The creaminess of the ice-cream helped balance out the sugar rush a little, but I loved the rich sweet flavour. Inside the ice-cream was a honeycomb flavour sauce that just added to the magic, the taste was rich and just like liquid cinder toffee. 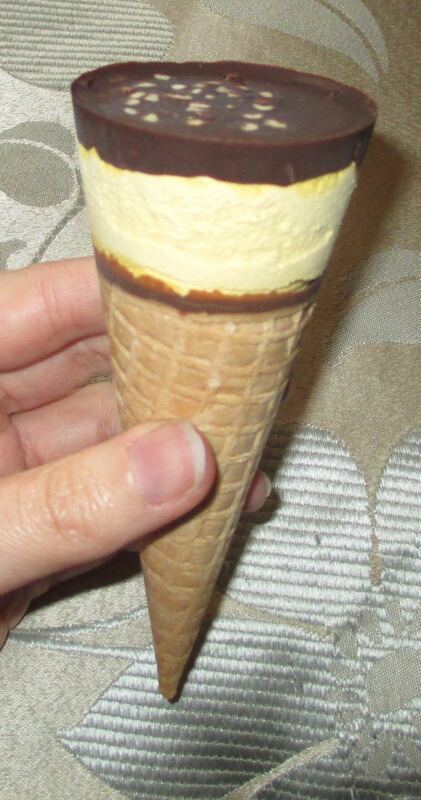 The cornetto cone was lined with chocolate, which helps stops ice-cream dripping through, but also adds a nice touch of milk chocolate flavour. The cone was still firm and crisp when I came to eat it, and it was a nice finishing touch. I loved these cornettos they were filled with all the rich sweet flavours of cinder toffee and caramel, and the ice cream was so nice I’d love a tub of it. Perfect for those with a sweet-tooth.